As climate change makes more impact on our world, those with income challenges—most often people of color—suffer the most. Deirdre Courtney will present Climate Change and Marginalized Populations at ICCF Assembly Hall, 920 Cherry St SE, 49506 from 6 – 8 p.m. Thursday Feb. 21. 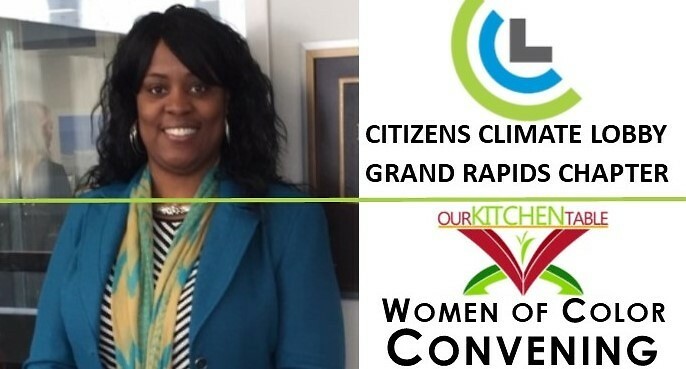 The free event is co-sponsored by the Citizens Climate Lobby - Grand Rapids Chapter and Our Kitchen Table, as part of its 2019 Women of Color Convenings series.